This month, Intel participated in the Unmanned Aerial System (UAS) Traffic Management (UTM) trials conducted by NASA and the FAA, alongside X’s Project Wing. The trials’ goals are to develop and test guidelines for collaborative communications and navigation (C&N) among unmanned aerial systems in the sky. Intel is spearheading industry growth by providing advanced technology solutions, like the Intel Aero Ready to Fly Drone for commercial developers, which we used for the NASA-FAA-led UTM trials at the FAA-designated UAS test site run by the Virginia Tech Mid-Atlantic Aviation Partnership (MAAP). 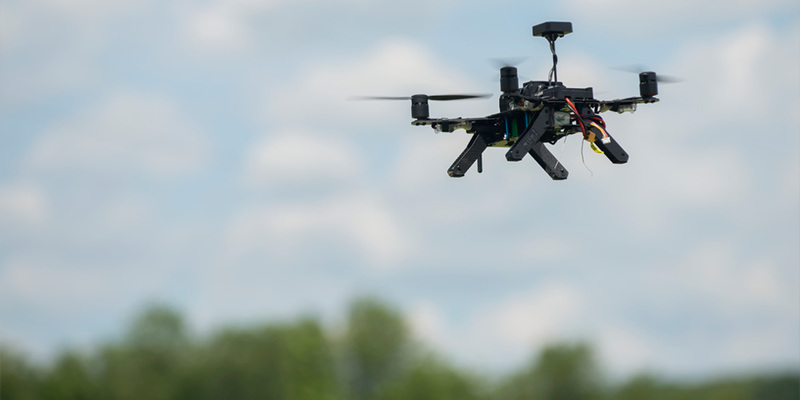 These trials are designed to test safe operation of multiple UASs sharing the same airspace by recreating typical scenarios of what a UAS operator might encounter when commercial drone flights beyond line of sight become commonplace. This latest phase of the trials evaluates technologies that allow flight path conformance monitoring, dynamic adjustments to drone operation plans and contingency management. This requires coordinated communication between the UAS and the traffic management system both for flight planning and for real-time flight monitoring. Intel Aero Ready to Fly Drone simulates automated search and rescue operation at Virginia Tech as part of NASA UTM Trials. Photo courtesy of Virginia Tech Mid-Atlantic Aviation Partnership (MAAP). With the capabilities and flexibility of the Intel Aero Ready to Fly Drone, we were able to rapidly prototype a UTM solution that met Project Wing’s UTM service requirements in a matter of weeks. In fact, through our collaborative efforts with Project Wing, we were able to execute a much larger number of test flights during the trials than originally planned. While the Intel team simulated an automated search and rescue operation using multiple Intel Aero Ready to Fly Drones, the Project Wing team flew package delivery operations through the same air space. Intel’s drones communicated flight plans and real-time locations through its on-board LTE modem to Project Wing’s traffic management platform, which instructed each drone to a safe flight path. As an open-source Linux-based platform, purpose-built for developing and testing end-to-end UAV solutions, the Intel Aero Ready to Fly Drone is an optimal programmable UAS to assist with exploring advanced use cases, such as flights beyond line of sight. Features like LTE communications and integrated depth-sensing and vision technologies allow commercial UAS developers the ability to pursue even more sophisticated capabilities. The UTM trials are an important step in making the skies safer and more secure by managing drone traffic, helping to improve flight efficiency and reducing collisions in the air. 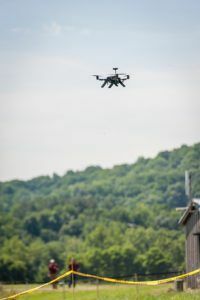 The outcome of these UTM trials will pave the way for the standardization of how drones will communicate with each other and other unmanned aerial systems. Intel’s Yun Wei, Dale J. March, and Karim Tadros work on Intel Aero Ready to Fly Drones at Virginia Tech during NASA UTM Trials. Photo courtesy of Virginia Tech Mid-Atlantic Aviation Partnership (MAAP). NASA, the FAA and the overall UTM community, including Intel, are helping define requirements and protocols to which commercial UASs will have to adhere. At Intel, it is our mission to work with organizations to evolve and broaden the use of drones through innovative commercial applications and new technologies in the UAS segment. We are proud to work alongside NASA, the FAA and industry partners like Project Wing to advance the UTM ecosystem and pave the way for fleets of drones to fly in a safe and secure manner in the commercial airspace. Developers who want to procure the Intel Aero platform can purchase it online. For additional information on the Intel Aero Ready to Fly Drone and Intel’s work in the drone industry, visit Intel’s “The Airborne Revolution” site. 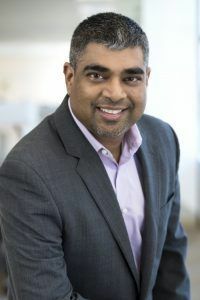 Anil Nanduri is a vice president and general manager of unmanned aviation systems in the Perceptual Computing Group at Intel Corporation.